was organized by the Kochi Police Force and I was honoured to be a part of it. K J Yesudass sir to Mamooty, Mohanlal, Parvathy Omanakuttan, Jairam, Ashish Vidyarthi.. the entire gamut of invitees were the top brass of Malayalam Filmdom. Probably Naresh Iyer and I were the only singers flown in from Chennai. The show was to bring about an awareness and rally the people against terrorism. The most important point that was driven home was that terrorism has no religion and no religion advocates any such thing. One of the nicest things was when the CoP gave me a call and asked me to be a part of the show. I thought it was unnecessary for someone of his stature to call me and was touched by the simplicity and the adherence to protocol. The show started on dot. Can you believe that? 6.30 PM IST. It was also telecast live on People's channel. The audience of Cochin, in all these years, I have noticed find it to be a huge effort to cheer or clap for anybody. They are mute spectators. I have heard several performers from Kerala say that this is the case in Cochin and Trivandrum. And they love to perform outside their borders just for the amount of appreciation that the crowd gives. I sang Kannathil Muthamittal. Sivamani sir gave this super performance, once with Sri Jairam and once by himself. He used his suitcase and an empty bubble top water can in his list of percussive "instruments". Wow. Stephen Devassy was playing for us and it was awesome to have him play for KMI. Naresh sang Rubaroo and Pappu can't dance with Sayonara who joined in for the latter. I m unable to describe or list what happened yesterday mostly because I am unfamiliar with the songs and also its really tough to describe the goings-on when it is in a language you don't completely follow. The performances were interspersed with the stars of Malayalam cinema address the gathering on the need to fight terrorism together. I marveled at the sheer execution. Only thing that was irksome - not many seem to care for the National Anthem. When the anthem starts playing, people think its like the end credits of a movie or something, during which time they can walk about, take pictures, talk and whatnot. Even those in the armed forces. I just hope we can learn to respect our anthem better. Wow great day uh!anyway enjoy yourself you will love your life. in our place, we get to see minibytes program on tv.. and most of the time you would be performing some songs in it... nice..
Me from Kerala and thanks for putting your time to mention about the aspirations event. I too wonder why we are not respecting the national anthem! by the way, why is the name Blue elephant, have u saw one ? After reading this post, I am sure a lot of us would surely respect the anthem better! cheers!akka,are u performing for Rivera ? I was listening to the songs from guru.. and i accidentally found this blog.. and then I heard the three lines in dil gira dafatan..wow! your voice is the diamond that helps that brilliantly crafted golden song its moments of sparkle..
and yes.. kannathil muthamittal is still my fav song of yours..
Hi Chinmayi... Awestruck at the energy you got.Definitely Airtel super singer wouldnt have been so dynamic without you !! You've got a brilliant voice.. god gifted..btw, your bloopers were soo funny !! Was rolling on the floor laughing. hi chinmayee, Please do not post approve this comment. Truly you r a very rare breed. 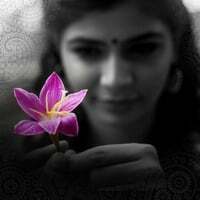 You are my inspiration Chinmayi. ungaluku semma style kuda :) God be with you always. It is true that people get up and walk about while singing National Anthem at the end. It would be much better if people sing National Anthem at the start, like any devotional song, if rules permit. Yes, you are very much true. People must learn to respect our Anthem. But there are still people like you who values it. I do remember once my friend just hummed this Vande Mataram song sung by Latha Mangeshkar ji. Suddenly another friend of mine stopped her not to sing as and when she wishes since it is an national anthem & one has to respect it. Patriotism is a thing which should come from ones heart. Nice blog. Keep on giving like this kinda messages. You are having a amazing sense of humour.... you could have performed vit some 4 years before!! ... VIT students are lucky! i truthfully enjoy your writing type, very attractive.